The Asociación Química y Medioambiental del sector Químico de la Comunidad Valenciana (QUIMACOVA) and the Universitat de València has signed a cooperation agreement to link the research developed at the university to the companies of the chemical and environmental sector of the Valencian region. A visit to the scientific park of the Universitat de València was done by more than 10 companies of this sector, in order to visit the installations, services and equipment that the university can provide, which are of potential interest to increase the competitiveness of this companies. 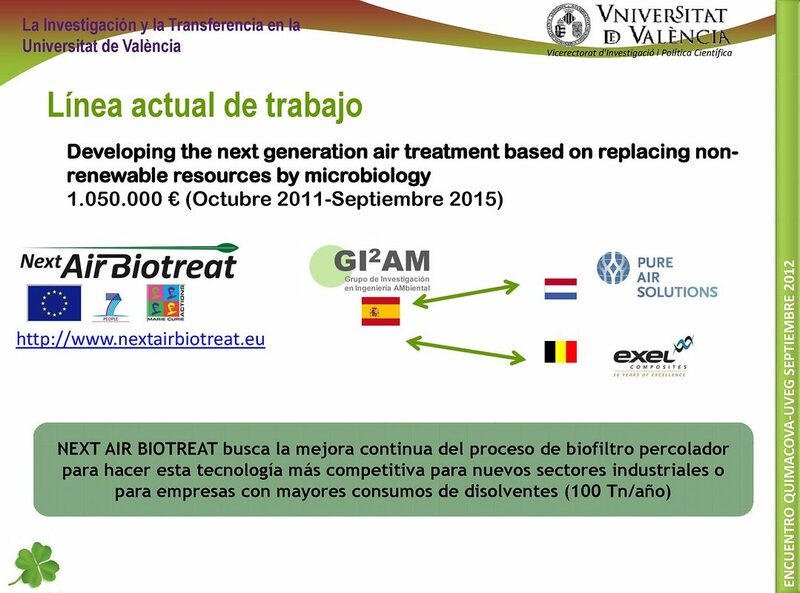 In this frame, Josep M. Penya-roja, professor of the Universitat de València and researcher of the Next Air Biotreat Project, presented an oral communication about the use of biotechnologies for VOC removal from air emission. 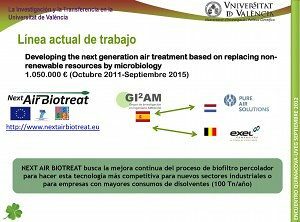 In the presentation, the wide experience of the GIA2M research group to cooperate with industrial partners was explained, including the actual research line developed under the Next Air Biotreat Project, which is a clear example of cooperation between Industry and Academia.